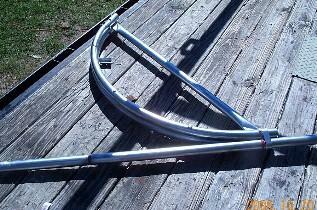 Direct From The Inventers Of These Amazing Hoop Bending Tools. We Invented These Hoop Benders 27 Years Ago. Others Simply Copy Us. 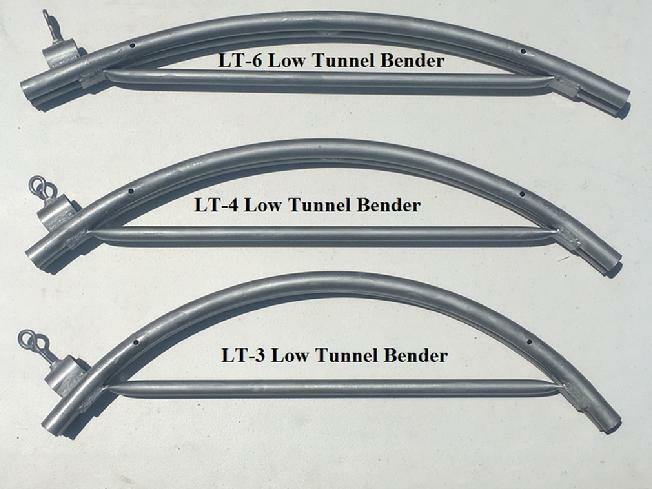 In the Video above, Carol Coleman demonstrates how to build both the fixed in place Low Tunnels and our Newest version of the Modular/Movable Low Tunnel in 10 foot sections, using our model MH-4 Low Tunnel Hoop Bender. You can add as many sections as needed, building your Low Tunnels as long as needed. That connectors are not required to build the basic Row Cover (Low Tunnels) or any of the Greenhouses (High Tunnels) any of these can be built following the Basic Hoophouse/Greenhouse Instructions using common supplies found in all hardware stores. However, we do offer a variety of connectors to speed up the assembly of various hoophouses, and are required if building portable structures.